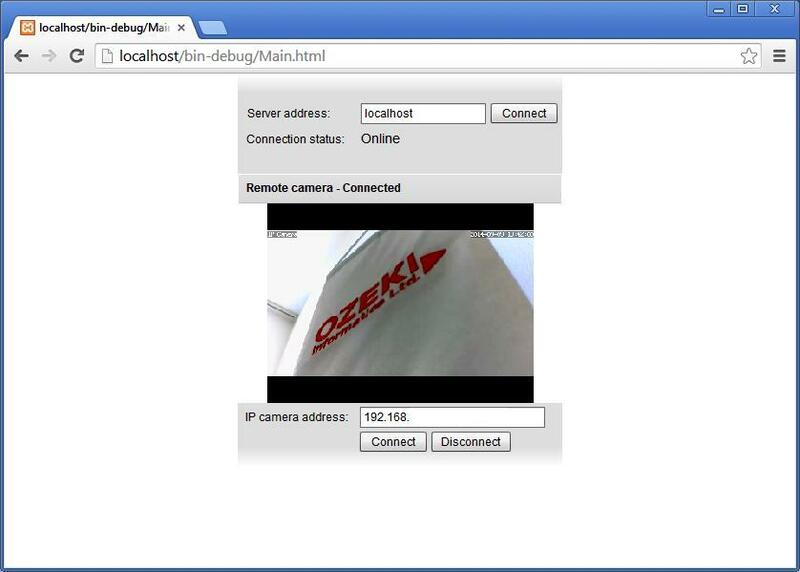 This example demonstrates a simple method for how you can connect your Console Application written in C# to an IP camera and how you can stream the image of the IP camera as Flash video on a website. To implement this example, you need to have OZEKI Camera SDK installed, and a reference to OzekiSDK.dll should be added to your Visual Studio project. How to setup a webserver? In order to make a website work you will need a suitable webserver. 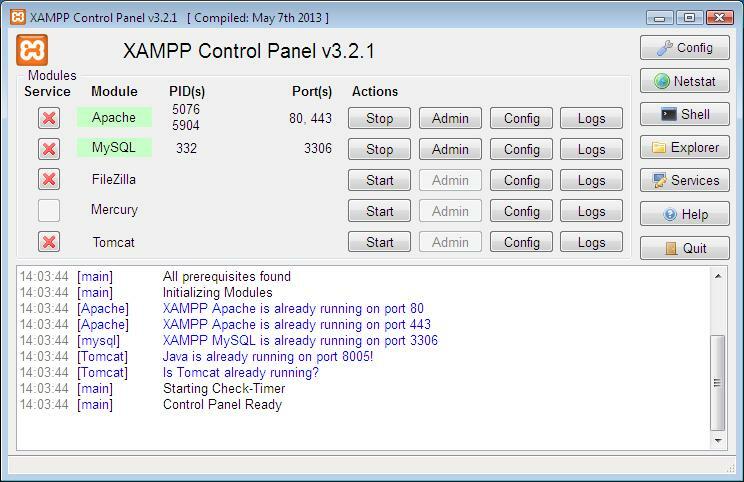 For example you can use XAMPP (https://www.apachefriends.org/). When you finished the installation process you should download the flash-based sources from our website and put all the contents which can be found in the compressed file into the htdocs folder. You can find the .rar file at the top of this page. Please make sure that the first two services which you can see on the picture above are enabled. After enabling them you will be able to access your website in your browser. You should verify that none of the other applications running on your computer use the same port number that is used by the running modules. How to implement the C# application? Important: you should study this article in order to find out how to setup your Console Application correctly. Please make sure that the SDK has been added as a reference to your Visual Studio project and that the project preferences have been set properly. You should also check the name of your Visual Studio project since using the same title could prevent further issues in connection with the namespaces of the application. Besides the basic steps there is a new one in this project: you should create new source files within the project. To do this you should right-click on the name of the project in the Solution Explorer and choose the 'Add' > 'New Item' option: Visual C# Items / Class. Please name them to the titles you can see in the further part of this example and copy the codes in the right source files. Please note that this example is about a Console Application instead of a Windows Forms Application. The image of the camera is not necessary to be in the application now that is why the console interface is enough. Please note that this example can be divided into two parts: the console application mentioned above and the webserver mentioned at the top of the page. The code snippets below belong to the console application. Please note that this example can work only when both parts are built properly and are running. With the MyMediaGateway class your application will be able to establish a suitable connection between the C# Console Application and the webserver. When your application is running you can forward the captured image of the camera to the HTML interface of your website. This whole feature is based on the MyClient class that is used by the MyMediaGateway class for the implementation. The MyClient class contains all the necessary methods and members to establish the connection with the IP camera and streams the image of the IP camera to the application. The rest of the C# source code can be found in the flash content. Finally in order to make your application work properly you should add one more new reference to your project in the Visual Studio IDE: System.Configuration. You can do this in the following way: please right-click on the References, choose the Add reference from the pop-up menu, then you should look up the mentioned reference on the .NET tab and add it to the other.